The Burmese is no ordinary cat. Its personality and character captivates its human companions creating a following which is unparalleled in the cat world. The Burmese Experience is described so beautifully by Joyce Seville in the Club’s leaflet ‘The Burmese in your Home’ that you will want to read every line and revel in her word pictures – ‘the distinctive quality of its coat, made for stroking … its unique qualities of temperament … it becomes an integral part of the family. A Burmese kitten has as much personality as the members of the household it is joining … each Burmese is an interesting individual. 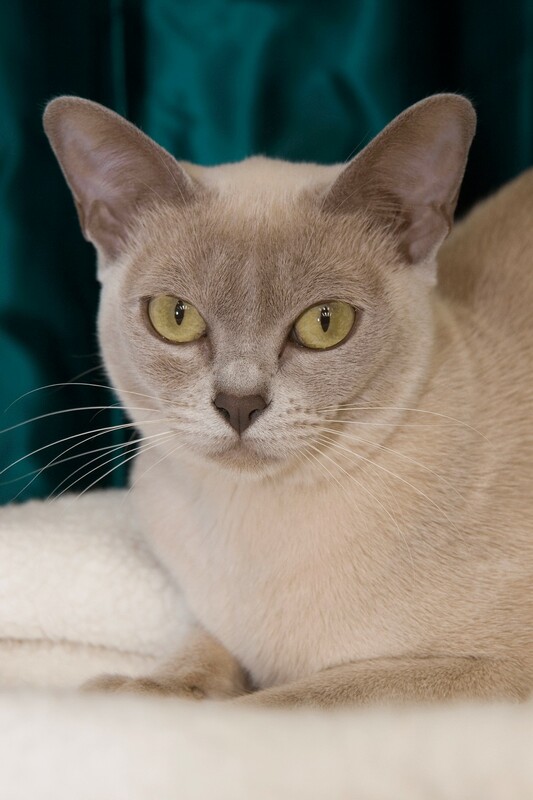 The Burmese is a strong, athletic and elegant cat, of foreign but not extreme type which is distinctive and quite individual to the breed. It has a close, even coat with a glossy, almost polished quality. At maturity males are large and handsome, females are more delicate and graceful, and the difference in weight between them may be as much as two or three pounds.